...and do not regain your financially senses until you have spent it all, or lost it, or even run into debt? That used to describe my mentality to cash; I hope it does not describe yours presently. I did not rest once I have cash until I had exhausted it- giving it out or just spending it. I am not talking about what experts call having a spender personality, in which case you are more prone to spending than to saving, naturally more generous than frugal. What I am talking about is being a spendthrift –spending purposelessly, simply because you having money on you or a credit card. “That shirt will look good on me”. It is a bad habit that is learned over time and must therefore be unlearned. Many people realize that they have a bad habit and instead of taking the pain to unlearn it, they opt for deliverance and spiritual gymnastics neglecting the place of discipline. When you have to be disciplined, you just have to be disciplined -nothing more, nothing less. Do not seek quick fixes. Do not make money in order to spend more, make money in order to be financially free. That is a mentality, and it is a wrong mindset. It is a mindset that impoverishes very fast. What I see around me are people who are looking for get-rich-quick schemes. They come to me that they want to learn Forex because they have a project, or car they want to buy, or a wedding coming up and they do not have the money for it. Almost always, they put pressure on their trading accounts and even when they make a lot of money, they throw it all back because their purpose of trading is faulty-GREED. They won’t know when they have made enough. I have been there, and it isn’t worth it. Have a ‘money mate’ that you can be accountable to. This is a very important one. You need to be accountable financially. You need someone who will hold you up to your words as you begin your financial journey of unlearning bad habits. It could be your hubby, or your best friend, or a role model/mentor, or a colleague at work that you trust, or a credit club/cooperative society you belong to. Try not to keep cash lying fallow in your account. Automate your savings so that before your salary enters your account, you have paid yourself first. If you can do without those extra credit cards, please do. If you do not know how to control your spending because of your debit/ATM card, then do not collect it. And if you must, destroy it or hide it where you will never find it. 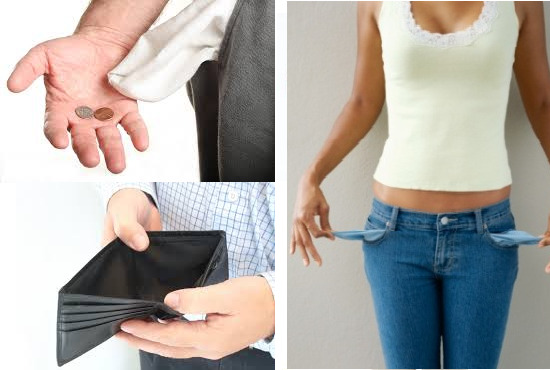 Whatever you have to do to unlearn your spendthrift habit, do it. Live on a budget. There is no better way to learn discipline than for you to know how much you earn, and how much you want to spend, and how much you eventually spend -AHEAD! That is what it means to budget. No rich and successful business, country, entity or individual survives and thrives without living on a budget. Even wise animals budget. That is it on how to be wise with your money. 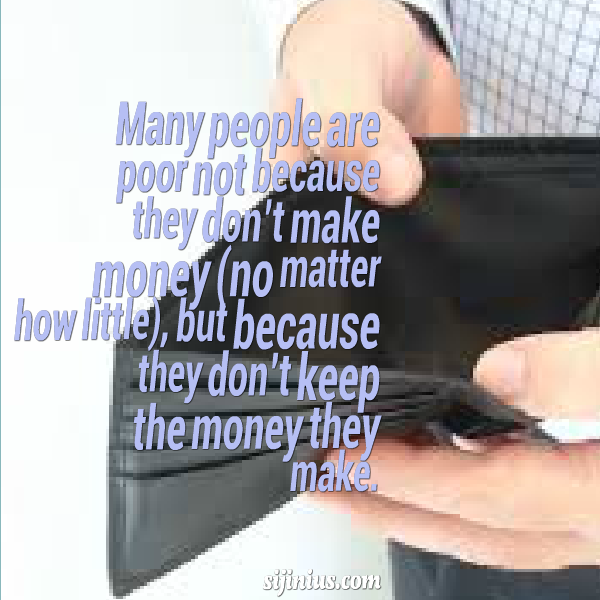 Many people are poor not because they don’t make money (no matter how little), but because they don’t keep the money they make. Don’t also be like that individual who knows how to make money, and always makes money (hence isn't poor), but who does not know how to keep money, so is always cash strapped and broke...as I used to be. I wish you a safe and fulfilling trip to financial freedom.